Red isn't a color that has always been a part of my lipstick repertoire. In fact, I was borderline scared of it for years. However, after finding the "perfect red" back in October, I incorporated the hue into nearly every look throughout the holidays. Now that the holidays have come and gone, (we attended the last holiday party of the season on Saturday), I'm wondering if it's a color I will continue to keep in my arsenal. So I'm curious, ladies. Do you wear red year round or just during the festive times of year? 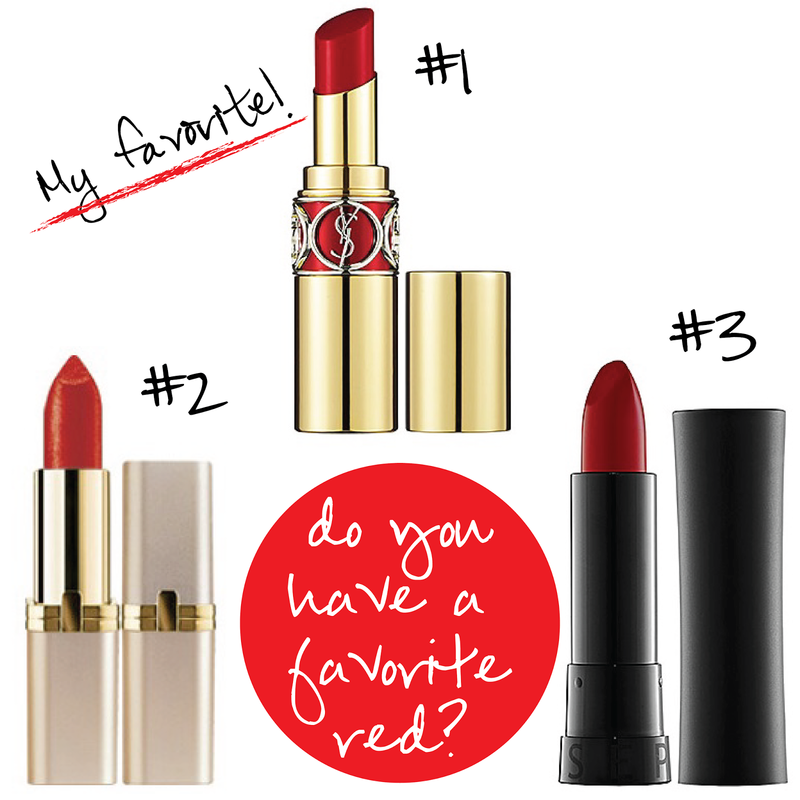 I've done my fair share of perusing red lipsticks and today, I'm sharing a few of my favorites. Check 'em out! If red lipstick stays in your makeup bag year round, do you reserve it for girls night out, the office, or everywhere? I'd love to know! Make it a great Tuesday, dolls! I recently found a red I love and plan on wearing it year-round. It is BUXOM Full Bodied Lipstick in Provocateur. It stays on forever and truly is the BEST red. I love number 3! I have been looking for a pretty red shade of lipstick.